As a terminal aficionado I’ve been wanting to write about this topic for awhile. Besides being cool, knowing how to use the terminal simply makes things faster. It’s much quicker to type a few letters and press TAB than to click through endless menu options. 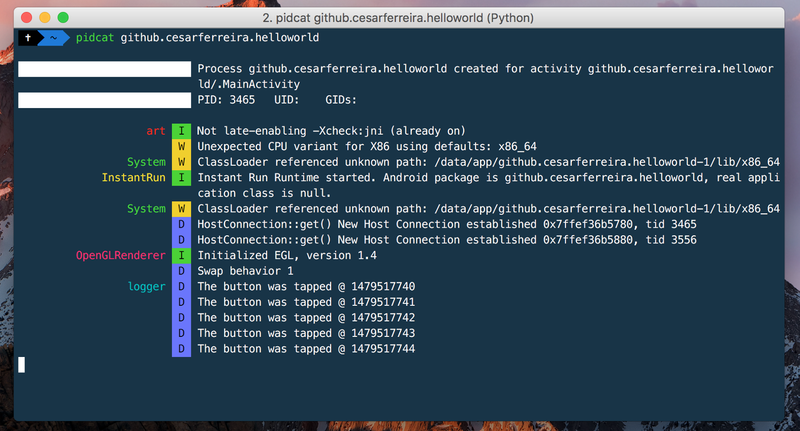 My goal with this article is to share with you how I use the terminal in my android development workflow. Since we’re going to be spending a lot of time in the command-line, let’s install a better terminal than the default one. Download and install iTerm2. iTerm2 brings the terminal into the modern age with features you never knew you always wanted. This includes pane splitting, custom colour schemes, paste history, fine-grained control over hotkeys, together with dozens of other handy preferences that you will find useful as you become more comfortable in the terminal. When you start a terminal application, it is running a shell called Bash. Bash is by far the most popular shell and comes with pretty much every UNIX-based operating system. There are, however, alternatives to Bash that make using the terminal faster and more comfortable for developers. By default, oh-my-zsh comes with a git plugin which provides many aliases and a lot of useful functions. You can hit Control+R to do a reverse intelligent search in the command history. Start typing the command and the shell will autocomplete with previously entered commands. Then you can either press Enter to execute the command again, use the arrow left or right key to edit the command, or keep pressing Control+R to cycle through other possible completions. You just came across a cool library on github, what do you need to do to test it on your phone? The --offline flag tells gradle to always use dependency modules from the cache, regardless if they are due to be checked again. When running offline, gradle will never attempt to access the network to perform dependency resolution. If required modules are not present in the dependency cache, build execution will fail. 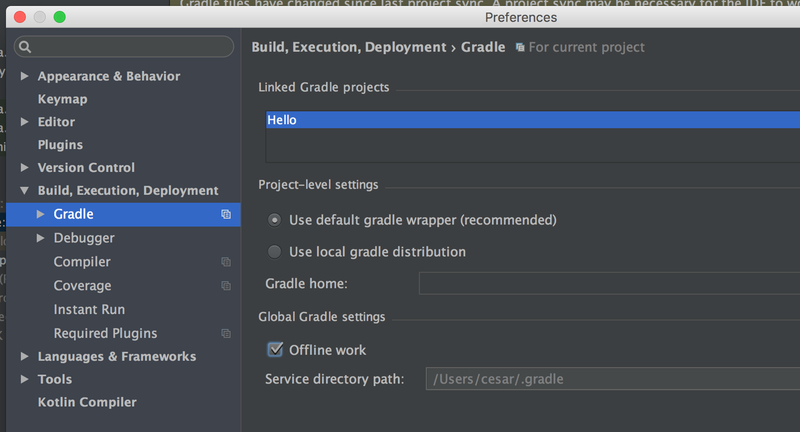 As an Android developer, you are probably using Android Studio with Gradle. One of the cool advantages is the dependency management that automatically downloads artifacts from a repository and makes them available to your application. Basically, you just add one line into your build.gradle file and your library is included. Pretty easy, right? But do you know exactly that line? No UI interaction required and up to 20 results at once! See, everything is smaller now. It’s a gradle plugin that adds tasks to your Android modules for installing and launching all variants, so, no need to run a ./gradlew installDebug and have to manually go to the phone, find the app among the 50 apps you have installed and launch the right one. Tip: Don’t forget that even when you’re launching the app from the terminal you can always attach the process to the debugger, no need to restart the app in Debug mode. A small neat trick so we can use to see Android unit tests logging results as they happen. During application development you often want to only display log messages coming from your app. Unfortunately, because the process ID changes every time you deploy to the phone, it becomes a challenge to grep for the right thing. This small tool solves that problem by filtering by application package. Supply the target package as the sole argument and enjoy a more convenient development process. Enjoy a more convenient logcat output with pidcat. Thanks for getting this far! I would love to know what do you think and if you do something in a different way. Also it would be awesome if you click the little ❤️ and share the article so more people would benefit from it. If you are interested in more Android development, please check my other articles, follow me on Twitter or check my GitHub projects. Thanks to Davide Nunes and José Coelho.